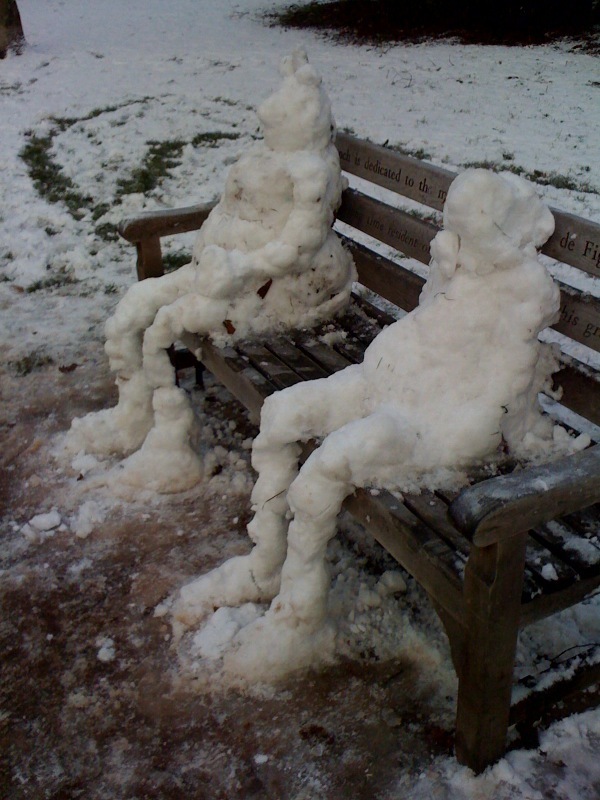 Beat the big freeze with Club Website! In case you hadn't noticed... it's a little bit chilly outside! The UK is in its longest cold snap for decades, so we've all been battling the snow to get to work, kids have been off school all over the country - those were the days! - and hot water bottle sales have rocketed! Most importantly of all, the 'big freeze' - a term coined by the news channels who've been talking about nothing else for days (has all other news stopped happening?) - means this weekend's football programme is in tatters! This means more frustration for hundreds of thousands of footballers up and down the country; all this after cancelled games for many in December and then a two-week Christmas break. We're feeling your pain people - all of us in Club Website HQ are itching to get back out there... but don't despair! It might not feel like it right now, but the cold snap will pass - we've had a word upstairs - and in the meantime, Club Website are here to help you pass the time. If you haven't taken a look at them yet, what better time could there be to check out the latest features to hit your club website. 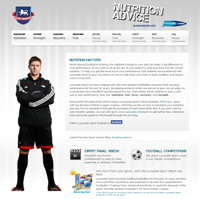 We've recently launched a new Nutrition Advice section where we've teamed up with Lucozade Sport to provide you with expert advice on how to get the most out of your performance. Every month this season, Lucozade Sport Scientists and top Barclays Premier League coaches will bring you tips on how to maximise your potential for your football matches! As if that wasn't enough, we've also introduced a new Coaching Advice section to your website, which contains a wealth of advice to help you improve your overall team performance. This fab new section contains a comprehensive video library of drills designed to improve all aspects of your game, each of which comes with illustrated instructions for you to print out and take away to implement at your next training session! What's more, we bring you advice on tactics and coaching methods to help improve your team's performance on the training pitch and on match day. Both sections can be found in your main club website menu. If yours isn't there, ask your website administrator to switch it back on so that you can enjoy it! Don't forget... Club Website are coming to Yorkshire! As we announced just before Christmas, the next stop for Club Website's facilities tour is Yorkshire. After our eye-opening visit to Birmingham last month, we want to see if the facilities up north are any better than in the Midlands. So, if you play your football in the white rose county and you'd like us to pay your club a visit then drop us a line... or better still, next time you have a game - it will happen again, don't worry! - then send us some pics and videos of your facilities. Put your question to the masses! As you may have seen, the latest opinion poll running across our club website network asks a tasty little question about whether a team should receive a Fair Play Award for last season if their behaviour is called into question this season just before the trophy is due to be presented. This was the situation that Eddie Carvalho - a club website administrator - found his team in, so he contacted us and asked us to put the question to you lot out there. We did just this and you've been responding in your thousands, with two thirds support for receiving the award... looks like you've been vindicated Eddie! So, if you have a question that you'd like us to put to the Club Website footballing public, simply post it in our comments section below, or email it to us a clubnews@clubwebsite.co.uk. And finally... a bit a light relief! With all the football cancelled this weekend, we thought you might need cheering up a bit so we've kicked off a 'Big Freeze Caption Competition'. We started this on Facebook this afternoon and its been getting such a great response that we thought we should post it on here too. All we want is your wittiest caption for this picture (left) of a rather amusing scene stumbled across by one of the boys from Club Website HQ yesterday. The best few entries will win themselves a Club Website football, so post your caption in the comments section below or email it to competitions@clubwebsite.co.uk. That's all for now folks. Have a great weekend, enjoy the snow and don't worry... football will be back before you know it!